Assembly Bill 217 (Bradford, 2013) extended the funding for MASH/SASH until 2021 or until incentives are encumbered, whichever occurs first. Under AB 217, the extended MASH Program includes new requirements for workforce development and energy efficiency starting in July 2015. A higher MASH incentive is available for projects that offset tenant energy use and provide direct tenant benefit via virtual net metering, as opposed to a lower incentive for projects that only offset common load and typically benefit the building owner/operator. In addition to MASH, the California Department of Community Services and Development received an allocation of California Climate Investments funding (revenue from the state’s cap-and-trade program) for energy efficiency and renewable energy benefits to populations located within Disadvantaged Communities (DACs), of which $24 million was committed to large multifamily properties. LIWP-LMF will operate from December 1, 2015 through April 30, 2018. The Low-Income Weatherization Program – Large Multifamily (LIWP-LMF) brings together energy efficiency, solar thermal, and solar PV upgrade opportunities under a single program offering to support owners and residents in lowering utility costs, saving energy and reducing greenhouse gas emissions. 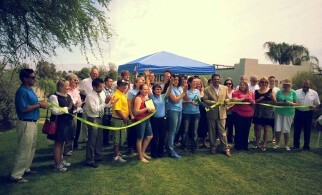 Incentives cover approximately 30-80 percent of energy efficiency upgrades and 50-100 percent of solar installations. 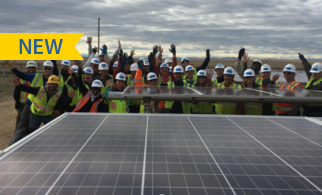 In 2015, Assembly Bill 693 (Eggman, 2015) established a new program, also funded by California Climate Investments, to extend low-income multifamily solar options beyond the existing MASH program. 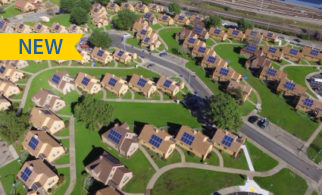 In December 2017, the CPUC approved the Solar on Multifamily Affordable Housing (SOMAH) program – the largest dollar investment for low-income multifamily solar to date with up to a $100M per year budget and total solar capacity target of 300 MW. 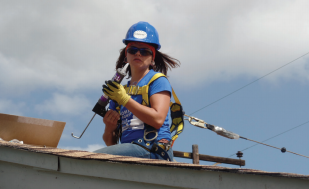 Similar to MASH, SOMAH uses up-front rebates to reduce the cost of installing solar. The SOMAH program improves upon the MASH program by requiring that customers receive the full economic benefit of solar credits, which disallows the usurpation of solar credits by HUD utility and rent allowances (for more on this, see the discussion of virtual net metering (VNM) in the policy tools section). 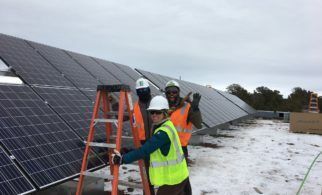 Like MASH, SOMAH requires workforce development with solar installations, but goes further in placing an emphasis on local hiring within the community. Accessibility and Affordability. 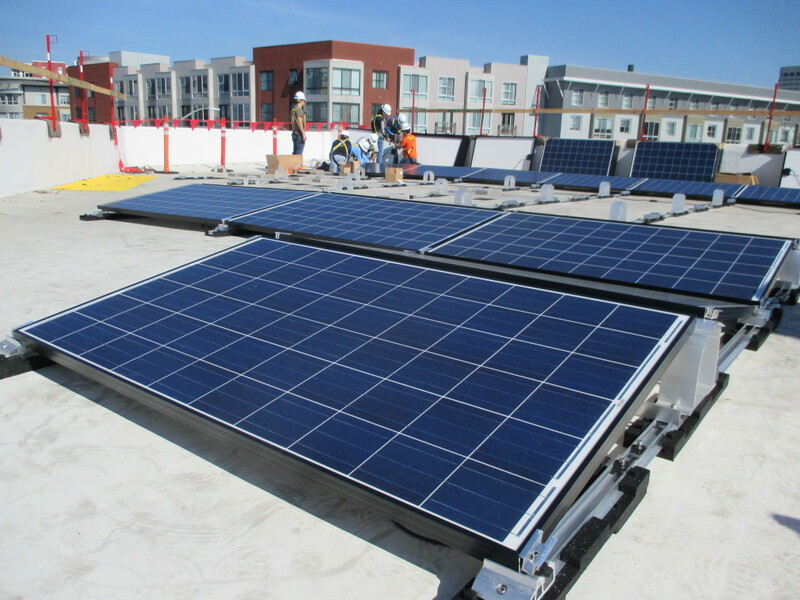 By combining fixed, up-front, capacity-based rebates with dedicated program administration, these California programs ensure multifamily affordable housing providers and tenants (in the case of SOMAH) receive the full economic benefits of solar. Dedicated, long-term funding sources allow these programs to scale over time. Community Engagement. Installations in these programs include opportunities for community members and job trainees to participate. SOMAH goes a step further by directing the Program Administrator to develop strategies that encourage local hiring. 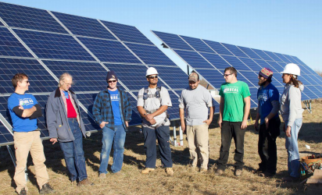 These job training opportunities create lasting value in local communities by creating a workforce of skilled laborers, many from the same communities that the programs aim to serve, that will have high employability in California’s expanding solar job sector. Consumer Protection. 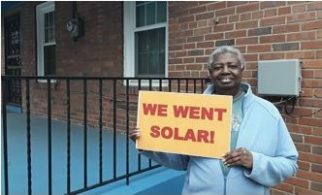 In the forthcoming SOMAH program, the bills of low-income tenants must be lower than they would have been without participation in the program, and they must receive the full value of solar credits. This is accomplished through through the allocation of net metering (NEM) bill credits and the option to opt out of mandatory Time of Use Tariffs (TOU) under the successor NEM tariff. Sustainability and Flexibility. These programs receive independent third party evaluations at regular intervals to evaluate the effectiveness and efficiency of both the program administrators and the programs overall performance. Compatibility and Integration. The California multifamily affordable housing solar programs were designed to complement the state’s energy efficiency (EE) programs. Multifamily affordable housing providers undergo energy efficiency audits and tenants are notified about the availability of the utilities’ Energy Savings Assistance (ESA) Program. In the case of SOMAH, the program administrator will provide technical assistance and develop and propose methods to coordinate with other clean energy programs in order to ensure that properties receiving SOMAH incentives are aware of and can access other sources of services and funding for which they may be eligible.